Cameras on phones are getting better and better but are always struggling with the depth of a real lens. 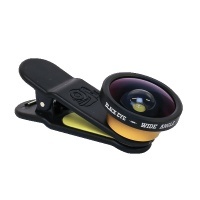 Now we have the answer with lens's you can attach to your phone to give wide and fish eye photos and video ideal for most board sports. Black Eye have done it again for 2016 by revamping their 180 fisheye. 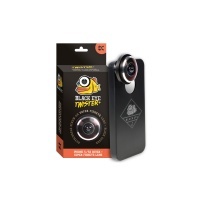 With a new clip and a sleek new design, the Black Eye fisheye is top dog. 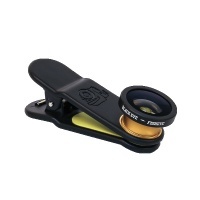 Introducing the all new Black Eye Twister lens and protective cover for Iphone 4, 4s, 5, 5s and 6. Achieve super awesome fish eye photos whether skating, BMX or snowboarding using your Iphone! The wide angle clipper is super versatile and gives a wide barrelled shot a little wider than the fish eye lens version without the black circle edges. 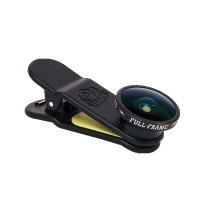 Clip it to the front or back camera. Black Eye have done it again for 2016 and created a brand new 180 fisheye lens. The Full Frame lens has the same angle as the 180 clip, but without the vignette.